Mumbai Indians vs Royal Challengers Bangalore: Today’s home team keen to win their match against Royal Challengers Bangalore. They have lost all their past three matches over Chennai Super Kings, Sunrisers Hyderabad, and Delhi Daredevils. Today on 17th April, this is their third home match of this IPL 2018 season. Because of the consecutive losses, Mumbai Indians spotted at the bottom of the table at present. As per the schedule, today’s game will be with RCB at the Wankhede Stadium in Mumbai on Tuesday. Rohit Sharma’s team need to focus on their batting lineup and also they need small changes in their bowling. Also, Virat Kohli’s RCB team have won only one match out of their last three matches. Royal Challengers Bangalore is now standing at the sixth position of the table with two points (net Run rate -0.373). Time is the game for MI vs RCB: This match starts at 8:00 PM IST local time (2:30 PM GMT). Venue of the MI vs RCB match: This IPL 2018 match will be played on April 17 at the Wankhede Stadium in Mumbai. Mumbai Indians (MI) vs (RCB) Royal Challengers Bangalore, IPL 2018 live TV Channels: Star Sports 1, Star Sports 1 HD, Star Sports Select 1 SD, Star Sports Select 1 HD (English), Star Sports 1 Hindi, Star Sports 1 HD (Hindi), Star Sports 1 Tamil (Tamil), Suvarna Plus (Kannada), Jalsha Movies (Bengali), Maa Movies (Telegu). Fans can now enjoy the match by watching and playing (with the prediction for every ball) on Hotstar. Check the online live updates of the IPL 2018 match between Mumbai Indians vs Royal Challengers Bangalore: There are more online official and unofficial websites providing live IPL scores, you can check MI vs RCB live score by searching ‘ipl live score’ or ‘MI vs RCB score’ on google or other search engines. Google and Bing are the two search engines providing ball-by-ball-update of a game. Apart from Hotstar, fans can watch Mumbai Indians vs Royal Challengers Bangalore on Airtel TV and JioTV Apps for free. 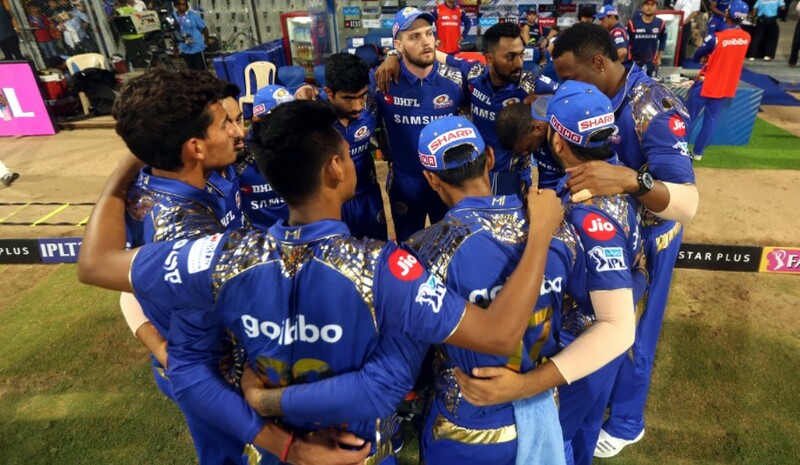 Mumbai Indians Squad: Rohit Sharma(c), Jasprit Bumrah, Hardik Pandya, Kieron Pollard, Mustafizur Rahman, Suryakumar Yadav, Krunal Pandya, Ishan Kishan, Rahul Chahar, Evin Lewis, Saurabh Tiwary, Ben Cutting, Pradeep Sangwan, Jean-Paul Duminy, Tajinder Singh, Sharad Lumba, Siddhesh Lad, Aditya Tare, Mayank Markande, Akila Dananjaya, Anukul Roy, Mohsin Khan, MD Nidheesh, Mitchell McClenaghan, Adam Milne. Royal Challengers Bangalore Squad: Virat Kohli(c), AB de Villiers, Sarfaraz Khan, Brendon McCullum, Chris Woakes, Colin de Grandhomme, Moeen Ali, Quinton de Kock, Umesh Yadav, Yuzvendra Chahal, Manan Vohra, Kulwant Khejroliya, Aniket Choudhary, Navdeep Saini, Murugan Ashwin, Mandeep Singh, Washington Sundar, Pawan Negi, Mohammed Siraj, Parthiv Patel, Aniruddha Joshi, Pavan Deshpande, Tim Southee, Corey Anderson.